Energy management and sustainability strategies don’t have to be complicated and don’t have to be costly. 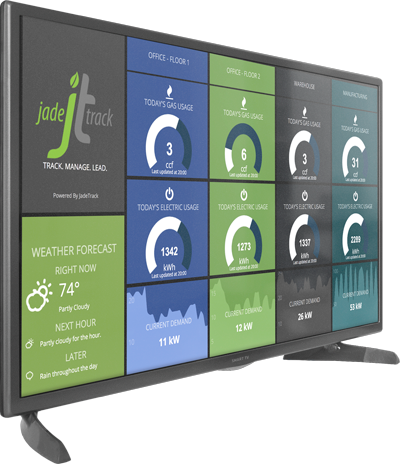 JadeTrack’s cloud-based analytics platform is powering some of the world’s most robust energy and sustainability programs. Reduce manual, time-consuming and error-prone data collection with spreadsheets by automating utility bill management. JadeTrack’s platform automates data collection from thousands of utility providers worldwide. 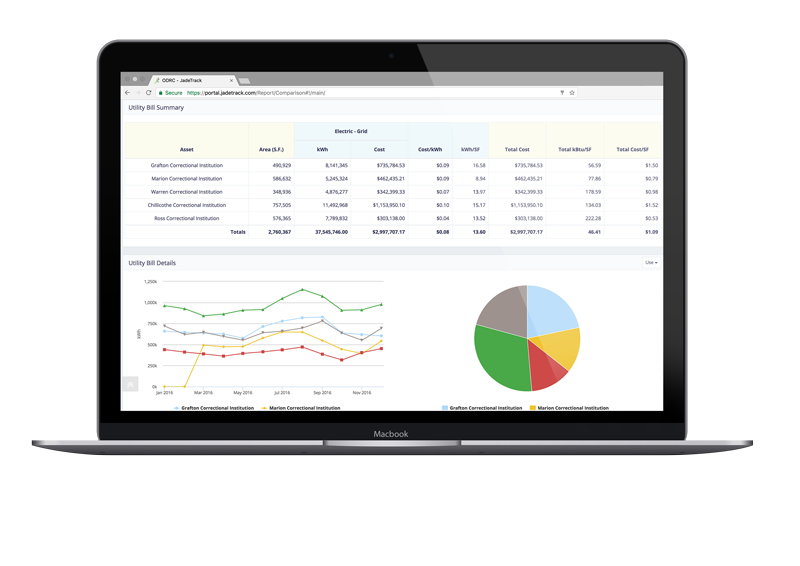 Utility bill management from JadeTrack reduces time, improves accuracy, and streamlines reporting of energy and sustainability program data. Synchronize your data seamlessly with ENERGY STAR Portfolio Manager for facility scoring that allows you to compare energy efficiency across your buildings. ENERGY STAR benchmarking provides insight with a robust set of metrics, access to all of your utility bills, and real-time alerts and notifications to quickly identify savings opportunities using data. Harness the power of your smart meter or sub meter your locations to gain instant insights into your energy usage and identify continuous improvement opportunities. Simplify the process of publishing a sustainability report by automating the data collection and reporting. With numerous ways to capture and visualize data, JadeTrack makes it easy to create a meaningful sustainability report. People are motivated by sustainability and care about their work environment. Embrace it. JadeTrack enables its clients to create long-term financial, social and environmental impact. Looking to create impact with sustainability?